With the Olympic’s fast approaching next year, let’s take a stroll down memory lane to the 2000 Olympics in Sydney. The 2000 Sydney Olympics was one of the most memorable Olympic Games of all time. With its stunning location and impeccable organization, it was enjoyed by the world and made every Australian proud. Although the Games have long since finished and have moved on to various other parts of the world, the legacy of the Sydney Games lives on and thousands of people still make the journey to the Olympic village to re-live the historic event. But it’s not just Olympic fans who made the journey to the park, which is situated to the west of the city. There are hundreds of events here throughout the year, proving that the legacy of the Games is alive and well and that the facilities are getting plenty of use. Rugby and football are just two of the sports that you watch at the park. You can also enjoy baseball games and major swimming and athletics events that are held here all year round. Aside from sports, there is a whole host of cultural events here, including music, film and other concerts. Part of the Sydney Festival takes place here – this is the country’s largest cultural festival and it takes place every January, with events all over the city. You don’t even need to be based in Sydney to visit the park. Wherever you’re staying on the west coast of Australia, you can make the trip to the Olympic Village. You could tie it in with a road trip along the west coast, or a city break to Sydney, if you’re not actually staying there. If you are staying in Sydney, then you should definitely add the Olympic Village to your list of ‘to-dos’. It will give you a great insight into the geography, organization and the sheer scope of the Games. If you can coordinate your visit with an event taking place in the park, then so much the better. 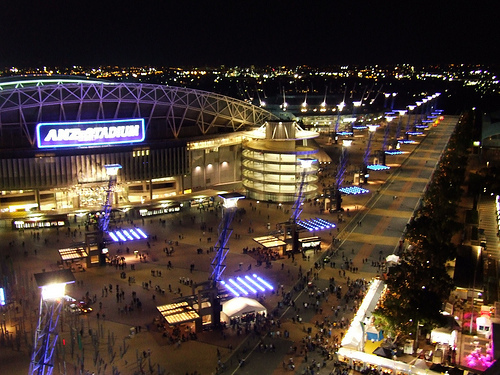 Have a look at some daily deals Sydney to see if you can get a discount for sporting events at one of the venues in the park. The Olympic Park is just a short journey from the center of Sydney so, even if you only have a few days planned for the city, it won’t take a huge slice out of your itinerary and you’ll be pleased you made the effort. You won’t get annoyed so quickly, though my moods can change just like that. You don’t need to be a sports fan or a music aficionado to appreciate the incredible facilities and the size of this great space. However, if you are planning to watch a match or travel to the park for a concert, there are plenty of decent hotels in the area for an overnight stay. That way you can relax and enjoy yourselves without having to worry about getting back into the city center later on.